1,800 runners started in the city center at Heden and finished in the Ullevi Stadium. Sunny and 30 degrees Celsius. 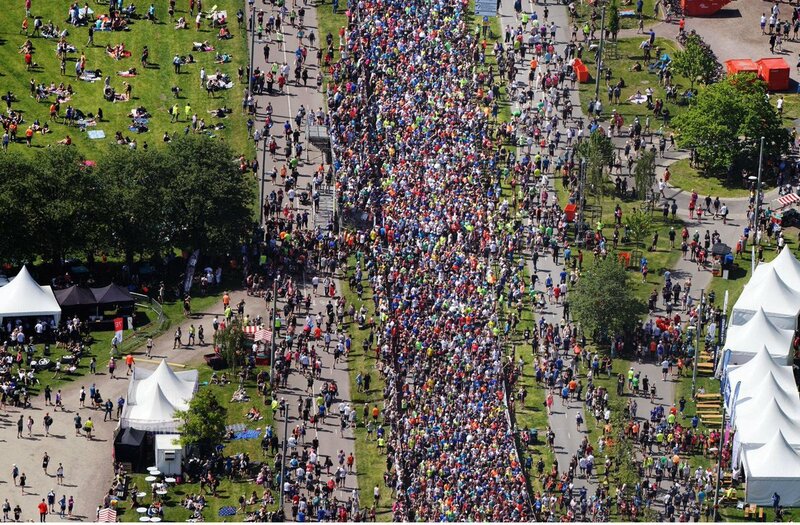 45,015 runners completed Göteborgsvarvet of 2013 — a new record. The race was a tough task due to the extreme weather with almost 30 degrees Celsius on some parts of the course and strong headwinds. National TV broadcasted the race again contributing to increased nationwide attention. Göteborgsvarvetacquired an Environmental Diploma and raised another 1.3 million SEK for donation to our charity partners. For the first time, a relay race — Varvsstafetten— was organized which was a huge success with almost 400 participating teams. The Expo had once again over 85,00 visitors. 83,064 runners registered to one of the races during the Göteborgsvarvet week — a new record. From the half marathon, 36% of the runners were women, 1,000 more than in 2013. This year, Göteborgsvarvet was awarded an Environmental Diploma, one step closer to an even more sustainable event. For example, only vegetarian food was served to the race officials.1.3 million SEK was donated to our charity partners. The Expo was expanded with a speakers’ corner and a scene program. Starting 2016 the Expo will be held in the Swedish Exhibition and Congress Center. Runners from 64 countries participated in the world’s largest half marathon on May 23, 2015. During the week several different races and activities took place. The youngest runners, almost 8000 participants up to the age of 6, participated during the two days of Minivarvet. For the third year in a row, Stafettvarvet attracted approximately 700 teams. Minister of Sport and Recreation, Gabriel Wikström, paid a visit to Göteborgsvarvet making it his half marathon debut. 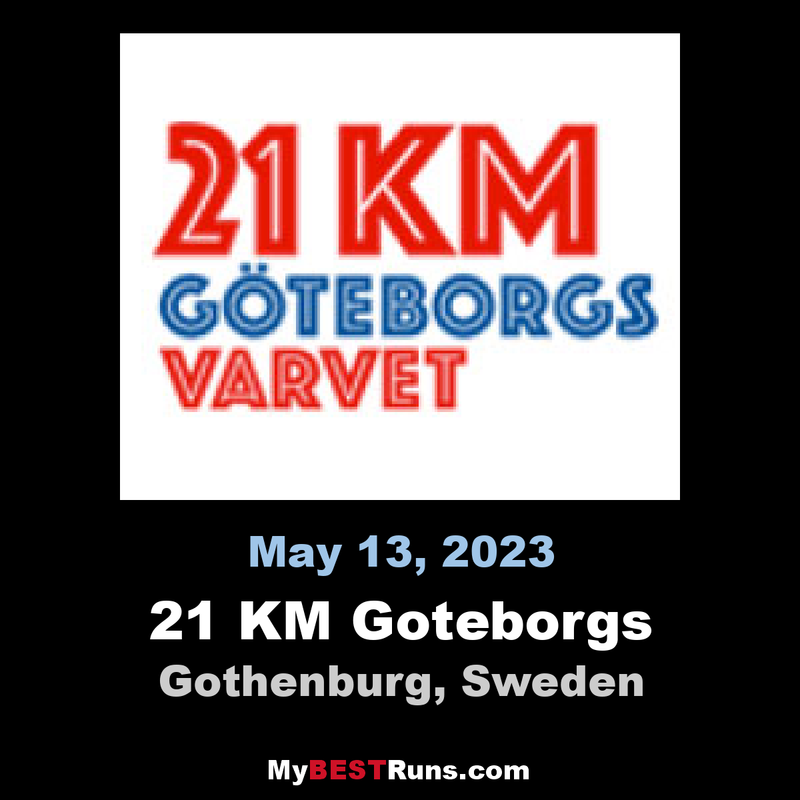 Recently published author of Löparens Hjärta (Runner’s Heart), Marcus Torgeby, participated by testing the course for the Göteborgsvarvet Marathon 2021 by running the Göteborgsvarvet Half Marathon course twice. 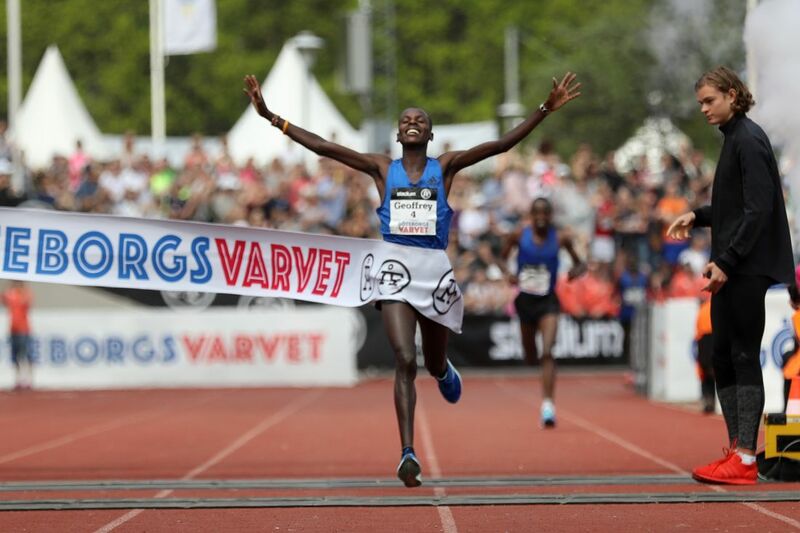 Worknesh Degefa, from Ethiopia, ran an impressive race when she beat the Göteborgsvarvet’s record with 51 seconds. Degefa was in the lead for the majority of the race and once she crossed the finish line she was only 13 seconds away from finishing with the magical time of 68 minutes. The third time was the charm for Richard Mengich from Kenya running in the men’s class. He came in first place after coming second and third the years before. Two local runners were the top Swedish runners. Therese Olin, Ullevi FK, that live onekilometer from the starting line was the fastest amongst the Swedish women. Great news for Göteborgsvarvet was the new fair Göteborgsvarvet Expo, which was arranged in the Swedish Exhibition Center in the center of Gothenburg. Göteborgsvarvet also started offering the participants free public transport during three days of the week. Most memorable was the amazing course record – 59.35 – by Richard Mengich from Kenya. A new time in absolute world class! Viola Jepchumpa, Kenya, also broke the course record in the women’s class with the time 68.01. In Göteborgsvarvet 2016, the participants collected 1,5 million to charity and in total Göteborgsvarvet has contributed with 7,5 million since 2011 to different charitable causes. About 80,000 runners, from 92 nations, were registered to one of the seven races of the Göteborgsvarvet-Week 2017. Saturday morning it was very hot, up to 27C degrees, and the forecast predicted tough weather. But so suddenly the temperature fell 12 degrees in a couple of hours and it became the closest perfect weather for both participants and audiences. The elite competition was incredibly exciting and the track record on the ladies side with a time below the dream limit of 68 minutes was of course special. Two home classes in the SM classes, Malin Beach and Mustafa Mohamed were also two highlights. The course starts in one of Gothenburgs most beautiful parks outside historic Slottsskogsvallen Athletic Arena - the site of many world records. You will circle the city crossing over two bridges, which will give you an outstanding view of Gothenburg and its harbour. Before finishing in Slottsskogsvallen Athletic Arena you will pass through Gothenburgs picturesque city centre.